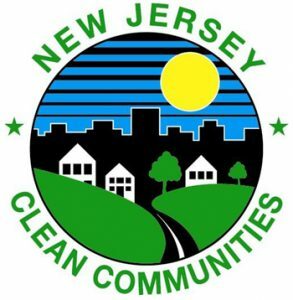 Bridgewater Township’s Clean Communities Mini-Grant Program is part of the New Jersey Clean Communities statewide, comprehensive, litter-abatement program created by the passage of the Clean Communities Act in 1986. The Act provides a funding source for the program by placing a tax on fifteen categories of businesses that may produce litter-generating products. Bridgewater Township is required to implement litter abatement programs that incorporate the elements of cleanup, enforcement and education. The Act also provides guidelines on the use of funds. Municipalities and counties must file statistical reports with the New Jersey Clean Communities Council, Inc. every grant year. Statistical reports track the expenditure of funds and the progress of local programs. Bridgewater Township conducts a fall and a spring clean up on properties throughout the township. Organizations can earn up to $500 for a clean up. The Township gives out up to 20 mini-grants in the fall and in the spring. Any group that did not receive a fall grant will be given priority in the spring. Bridgewater Township’s Clean Communities Mini-Grant Program is subject to change based on availability of funds. Please direct all questions to Jodi Schneider at jschneider@bridgewaternj.gov or by phone at 908-725-6300 ext. 5080 or Kristen Schiro at kschiro@bridgewaternj.gov or by phone at 908-725-5750.